Are you looking for comfort, fit and support for your kids? Our Essentials collection performs like new, swim after swim. Speedo Endurance+ fabric stands up to everything their energetic swim sessions throw at it. Chlorine, washing and daily wear and tear have nothing on our most durable swimsuit fabric. 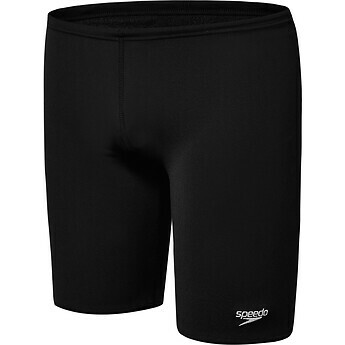 Now both my boys have Speedo jammers for their swimming lessons and school swimming carnivals. They hug the hips and sit snugly above the knee. This is the swimwear for us! Easy to care for too.